Been quite sometime since I put pen to paper. Thoughts come and go, endless and tirelessly our minds work and we have a capacity to produce only five percent of what our brains anticipate. Shocking isn’t it? So the statement “The human mind is indeed an amazing organ” isn’t wrong. We, humans, have a tendency to not use our minds to its complete potential. And the best part of this? Despite using as less as a meagre five percent of our brains, we are able to perform the most extraordinary feats. Infact, everything we see right now is due to the creative thinking of the mind. Hell, even the device which you are using to read this article is due to the creativeness of the human mind. Ever imagined, by using a complete one hundred percent of your brain which task cannot be accomplished? But according to me, it’s more of precaution. The use of the human mind should be apparently done for the good and the betterment of humanity. Though the great Albert Einstein did not work directly on the atom bomb yet it was his high intellectual and brilliant intelligence which proposed the famous equation E = mc2 that made the atomic bomb theoretically possible──the most destructive substance on the planet. It was also his initiative which started US bomb research. 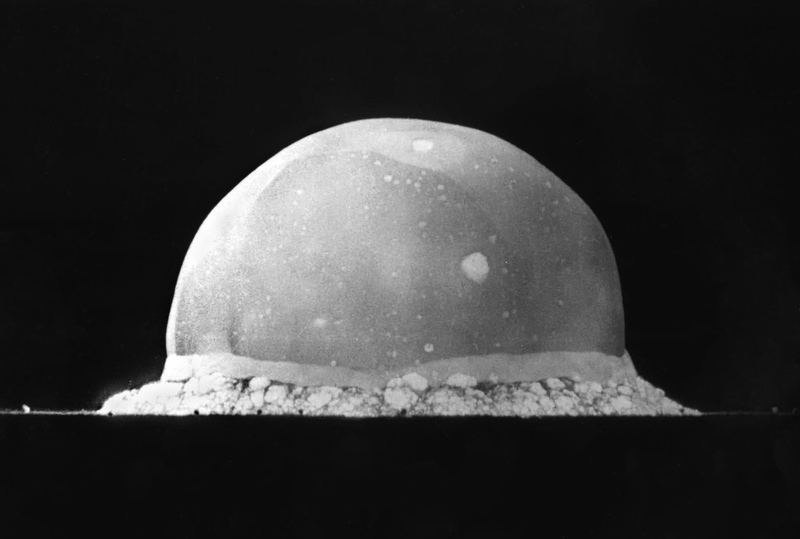 We are all familiar with this term──the Atom Bomb, used first in the Second World War, as a weapon of mass destruction, which was launched on the populated city of Hiroshima and Nagasaki. Uncountable number of people lost their lives because of the World’s greatest scientist brilliant proposition E = mc2. My question is whether intelligence is really such a boon? Or whether being born and able to work hard is a bigger gift from the Almighty? Think about it and do let me know if you solve the mystery of the paradoxical event of this very essence of living known as lifetime of an individual. hmmm, I feel & sense that intellect also works like Instincts, creative or deliberative, it needs to be nurtured & nourished to adapt well to situations & to make choices & to learn wisely. Being born Intelligence or genius wont do any good if it’s not unleashed or used for some purpose. It seems to me that “Intelligence” and creativity are neutral gifts – they can either be used to oppress or liberate. The question I ask is why the gifts of imagination and innovation have so often been used for war rather than peace. Those same gifts that are being for war and genocide could easily be used to create sustainable sources of energy, abundant food, and decent living conditions globally. One path allows a few to rule, the other allows the collective to flourish through interdependence – there’s no “profit motive” for peace.